Padma Vibhushan-awardee Ustad Ghulam Mustafa Khan narrates his life's story-from practicing music in a graveyard as a young boy to teaching stalwarts of the music industry, his journey is as lyrical as his songs. The octogenarian has nourished his family with love and care, even in his absence. Guru to Shaan, Sonu Nigam, Lata Mangeshkar, and many others, he is modest even about his own achievements. 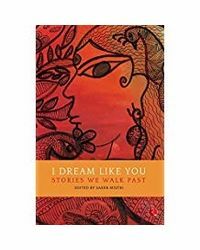 Captured in its essence by Namrata Gupta Khan, his daughter-in-law, A Dream I Lived Alone is a heart-warming story of love, riyaz, dedication and the maestro of music, Ustad Ghulam Mustafa Khan. Padma Vibhushan-awardee Ustad Ghulam Mustafa Khan narrates his life's story-from practicing music in a graveyard as a young boy to teaching stalwarts of the music industry, his journey is as lyrical as his songs. The octogenarian has nourished his family with love and care, even in his absence. Guru to Shaan, Sonu Nigam, Lata Mangeshkar, and many others, he is modest even about his own achievements. 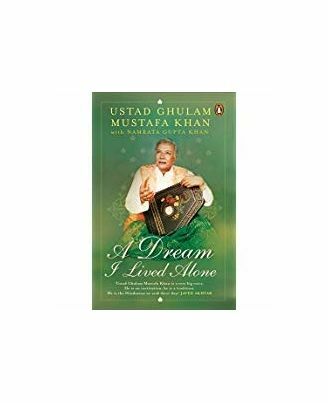 Captured in its essence by Namrata Gupta Khan, his daughter-in-law, A Dream I Lived Alone is a heart-warming story of love, riyaz, dedication and the maestro of music, Ustad Ghulam Mustafa Khan.